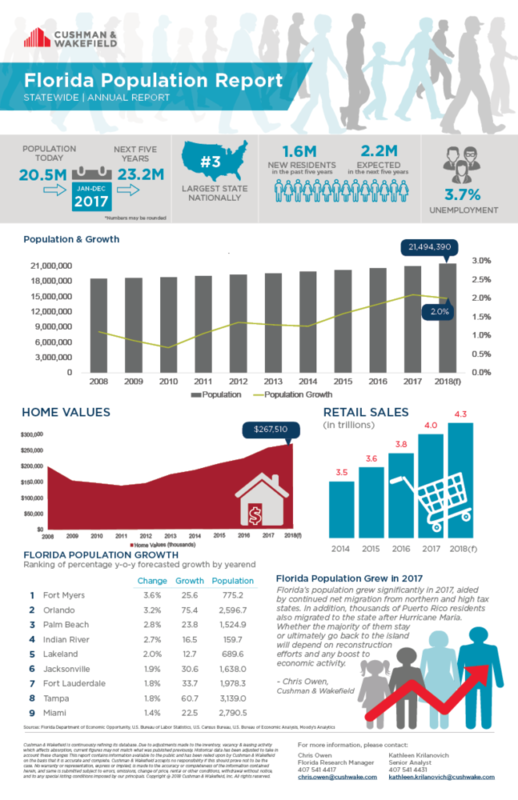 ORLANDO, February 22, 2018 – Cushman & Wakefield has released its 2018 Florida Population Reports, which detail projected population growth statewide and in nine major markets throughout Florida. The overall report predicts that Florida’s population will increase by just over 450,000 people in 2018, as compared to 430,000 in 2017. In the next five years, the state’s population is expected to increase from 21 million to 23.3 million. Of the markets examined, the Fort Myers MSA will see the greatest change in year-over-year population growth, while Miami is expected to see the smallest change. Tampa ranks as the largest MSA in the state, and Orlando boasts the lowest unemployment rate. 1. Fort Myers: Population is expected to increase by 3.6 percent, from 748,000 to 775,200, year over year. This market is projected to see the most significant change in population of those examined, fueled by favorable demographic trends and lower costs compared to South Florida. 2. Orlando: Population is expected to increase by 3.2 percent, from 2.4 million to 2.52 million year over year. This growth is bolstered by strong job creation, as Orlando adds 1,000 new jobs a week and has an unemployment rate of 3.3 percent — the lowest in the state. 3. Palm Beach: Population is expected to increase by 2.8 percent, from 1.4 million to 1.52 million year over year. The Palm Bach MSA has seen a growth rate of 3.1 percent annually over a 10-year period. 4. Indian River: Population is expected to increase by 2.7 percent, from 148,000 to 159,700 year over year. Large-scale residential communities in this East Coast MSA were popular in 2017, with a significant number of homes in the planning and construction stages. 5. Lakeland: Population is expected to increase by 2 percent, from 677,270 to 689,600 year over year. Lakeland’s central location between the high-growth markets of Tampa and Orlando puts it in the middle of 8.6 million people within in a 100-mile radius. Average home values will remain the lowest in the Lakeland market at $194,910. 6. Jacksonville: Population is expected to increase by 1.9 percent, from 1.5 million to 1.6 million year over year. Strengthened by new tourists, military spending and infrastructure, Jacksonville is expected to outperform the state and the country in terms of growth over the next several years. 7. Broward County: Population is expected to increase by 1.8 percent, from 1.89 million to 1.98 million year over year. Broward County’s high quality of life, marked by a broad scope of opportunities, positions it for continued expansion. 8. Tampa: Population is expected to increase by 1.8 percent, from 3 million to 3.14 million year over year. Tampa is the largest MSA in the state and the 18th largest nationwide. 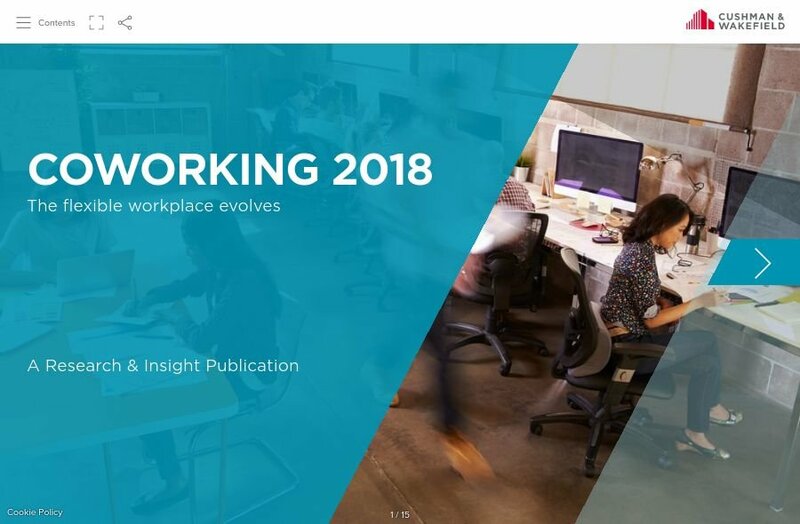 With an increasingly business-friendly environment, further growth is anticipated as Tampa continues to attract companies from around the country. 9. Miami: Population is expected to increase by 1.4 percent, from 2.7 million to nearly 2.8 million year over year. The Miami MSA is projected to see the least growth of the markets examined. Average home values will remain the highest in the state at $345,130. 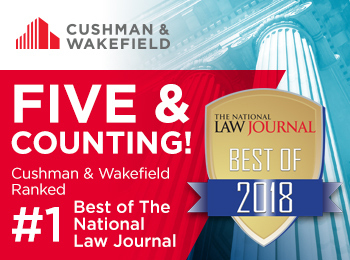 For the fifth year in a row, Cushman & Wakefield has been ranked #1 in the Commercial Real Estate Firm: Tenant Representation category of the Best of The National Law Journal (NLJ) survey. Cushman & Wakefield was also ranked #1 in Property Management and Brokerage, sweeping the real estate categories for the second time in this prestigious survey. The Best of NLJ is a reader ranking survey of the top providers to the legal marketplace. The survey encompasses all important aspects in the practice of law and the winners highlight the businesses and individuals who garnered the most votes from members of the legal community. For more information on the Best of The National Law Journal 2018 reader survey, visit https://www.law.com/nationallawjournal/. Click the photo below to read the full report.